Stop thinking about the kitchen of your dreams, and make it happen! Call Rochester Custom Kitchens today for a free estimate! 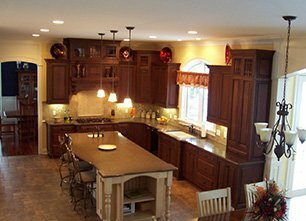 For over 30 Years Rochester Custom Kitchens has been considered the best in the business, specializing in Kitchen Remodeling in the Greater Rochester Area. We are not your average Kitchen and Bathroom Remodeling Contractor, our entire company is family owned and operated. My Son John Jr and Myself Complete all Kitchen and Bathroom Renovations in Rochester on our own. No one else will ever touch your Kitchen Remodel Bathroom Remodel or Basement Renovation. 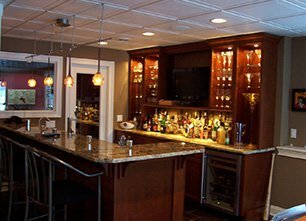 We are a full service Home Remodeling General Contractor here In Rochester NY, but our passion lies in Kitchen Remodeling Bathroom Remodeling and Custom Basement Renovations. We take great pride in our work and are dedicated to helping Rochester NY Homeowners create the kitchen, Bathroom or Basement living space of their dreams. Now in our 3rd Generation of Kitchen and Bathroom Remodeling in Rochester, the Kessler Family takes great pride in consistently providing superior craftsmanship, attention to detail and the best pricing on Home Remodeling and Renovation In Rochester. Over the years we have created unique partnerships with the best Kitchen Cabinet and Countertop manufacturers in the country, allowing us to offer the highest quality kitchen cabinetry and countertops available to our clients at wholesale prices. 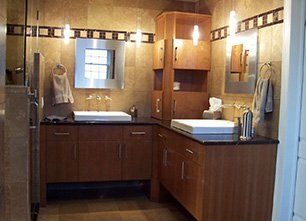 Rochester Custom Kitchens is a Full Service Bathroom Remodeling Rochester Specialist. 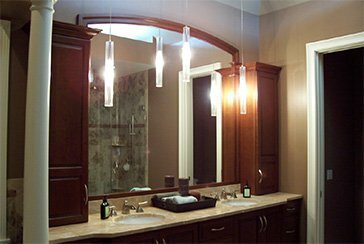 From Bathroom Design, Renovation and Remodeling we make dreams become a reality. Not All Bathroom Remodeling Contracors in Rochester are created equal, you need someone with the vision and design to get it right the first time.